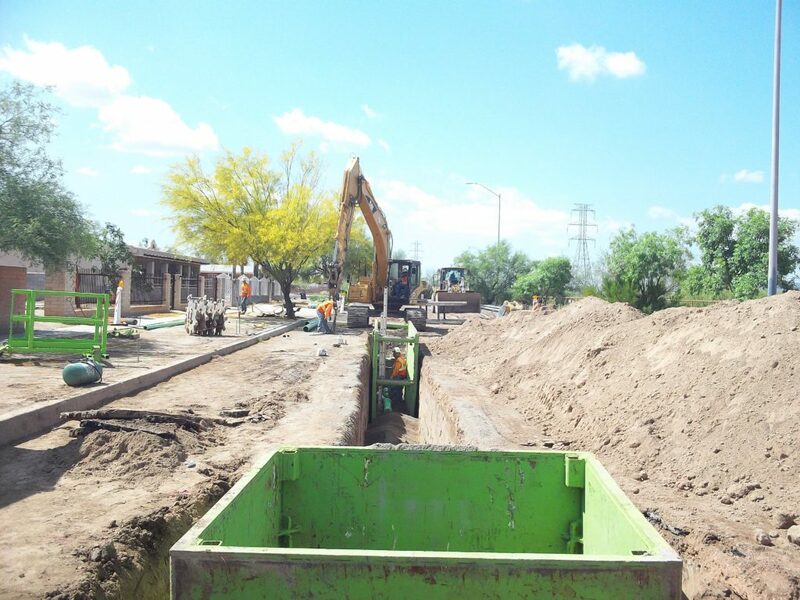 Kostka & Michigan Sewer Realignments - KE&G Construction, Inc. The Kostka & Michigan Sewer Realignments Project was awarded to KE&G by PCRWRD in February 2015. The project consists of replacing an 8-in waterline; installing, removing and replacing, and abandoning 13 manholes; installing 562 feet of new sewer main; abandoning 612 feet of existing sewer main and abandoning four existing house sewer connections and replacing with new materials across three different sites. To complete the work there is also 1350 feet of 6-in HDPE bypass and 505 feet of 12-in HDPE bypass pipe to be set-up with two temporary manholes. Jeff Olejnik and his crew are performing the work which started in mid-April and is expected to go through June.